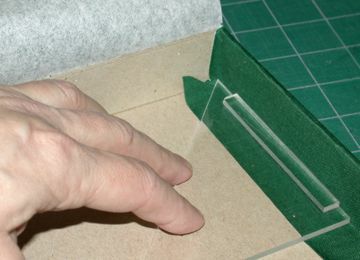 Once you determine the size of corners for a half-binding, the triangle can be used to mark the boards on all four corners. 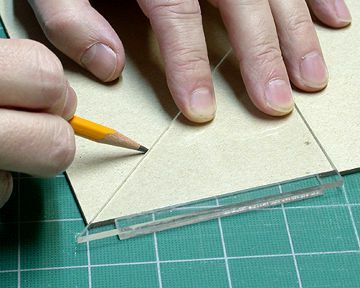 If you skuff up the triangles surface with fine sand paper, you will still be able to see through it and the skuffed surface will take a pencil mark that will speed up marking all four corners on one book or a number of books if they are part of a set. If you are binding in Leather, it is useful to mark the miter inside of the boards before you apply the wet leather. The stop on this triangle speeds up this process too. 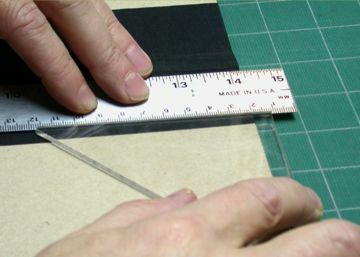 The stop on the triangle, when pressed to the head or tail of the book cover, will guide placing a straight edge so you can trim the edges of a mis-aligned spine in a quarter or half binding. 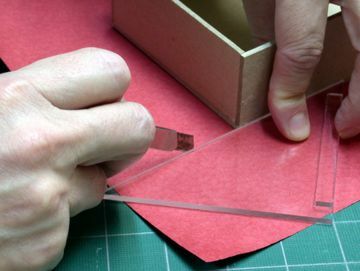 While covering a box, the triangle is useful to extend cuts from an edge. 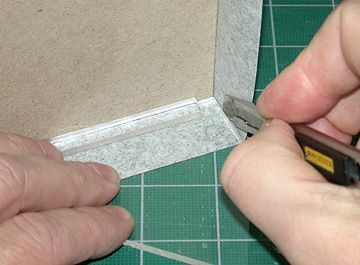 Using the end of the stop as a guide, you can cut the flap that will go around the corner of the box. 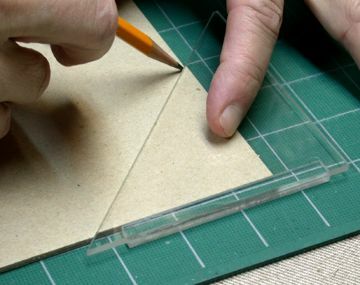 Use the triangle to open seams before folding them around the edges of the box. 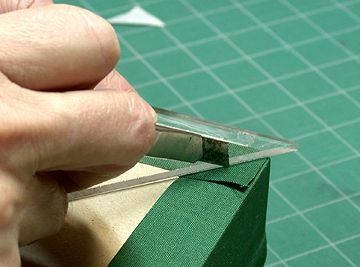 After opening the seams, fold the covering material over both edges and use the triangle with its stop to cut the miter on the bottom of the box. 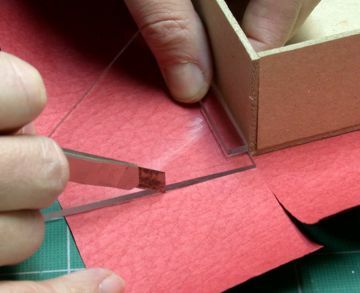 When you start to bring the covering material inside the box, the triangle's size makes it convenient to use inside to find and cut miters. $15 - Shipping is $3.00, total charge is $18 in the US.